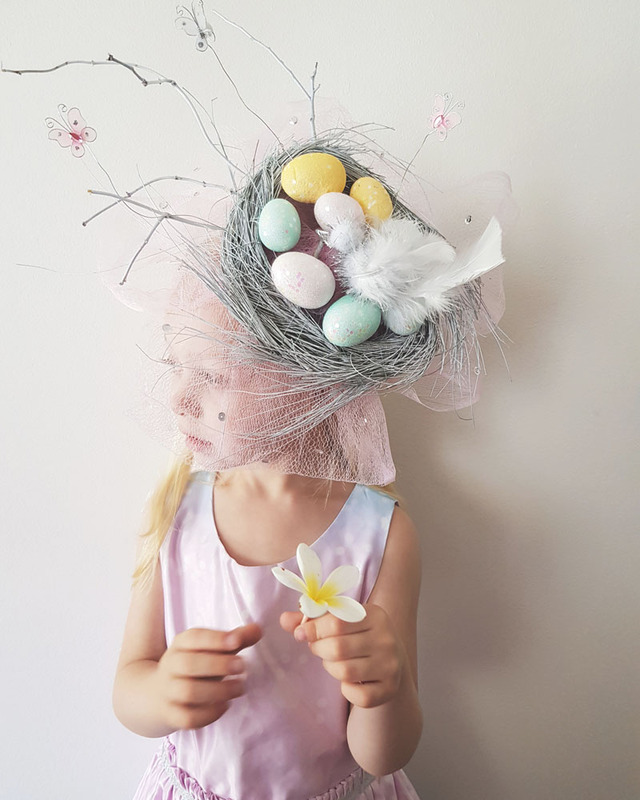 Anyway let's get back to creating your own Easter Hat. 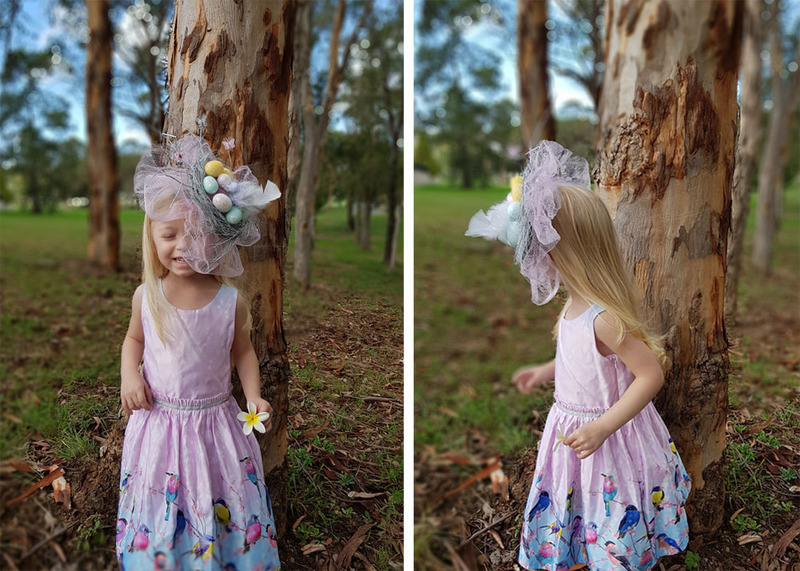 I have daughters so have always done pretty & girly hat designs, you may remember this fascinator hat I have posted before, I have taken that one as inspiration and decided to create some new DIY designs that isn't as hard as the original post and anyone with basic craft skills can do. 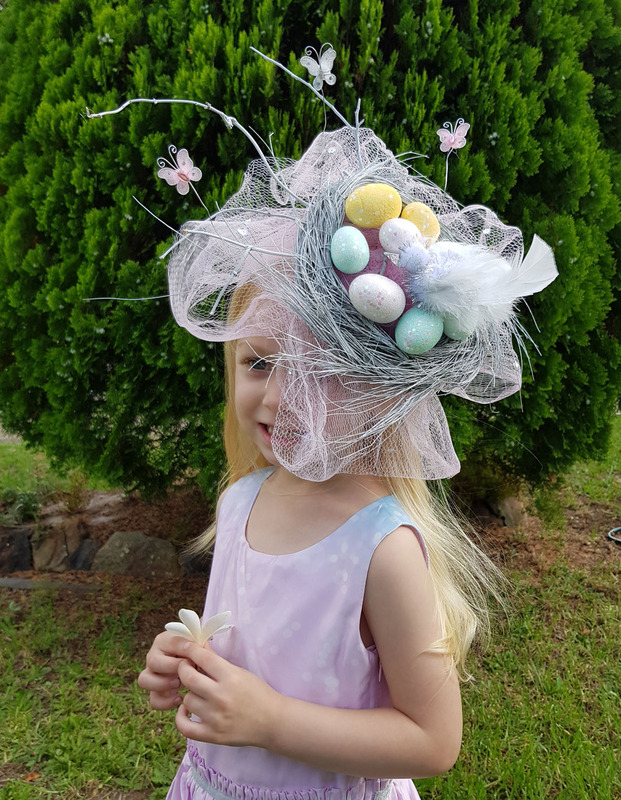 Everything I used was from a dollar discount store, even the glue, excluding the pastel Foam eggs which were from Big W Australia, the discount store did not have a huge range of Easter craft supplies yet but I am sure once this is published they will have them in stock. The Big W ones are so pretty though and perfect size for my hat. 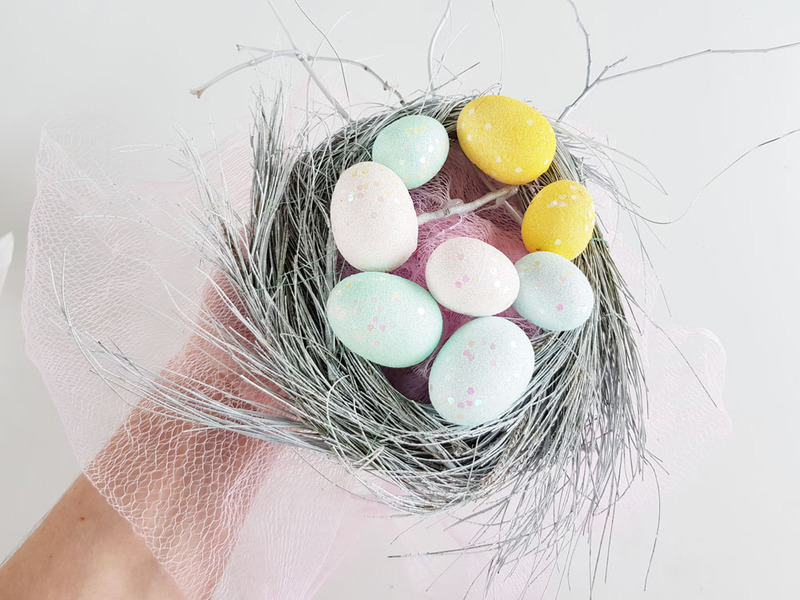 Collect your branches to use for the nest. You do not have to have the exact tree branch I have, you could have ones with full leaves on it or just the bare branches, whatever you can find. 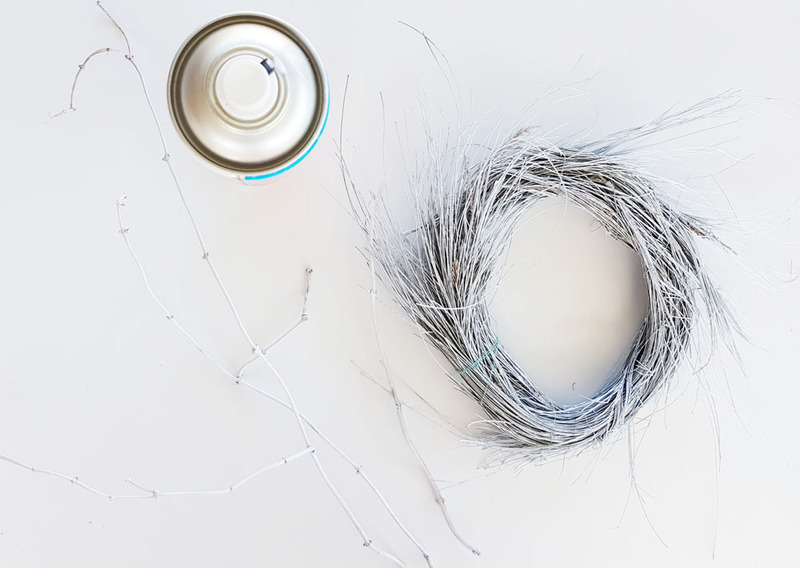 Once collected, mould & shape your soft branches into a circle slowly. 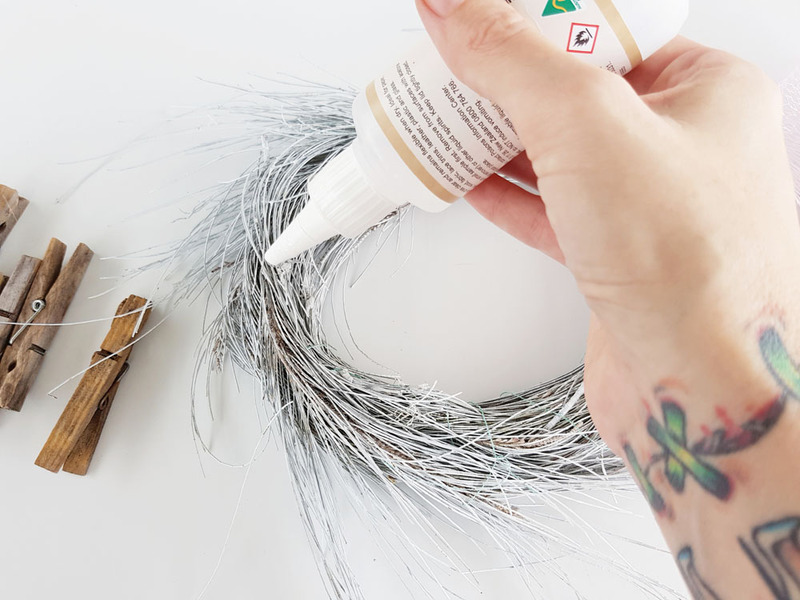 As you start to bend the branches use your hot glue gun to keep together and wire to keep in place. 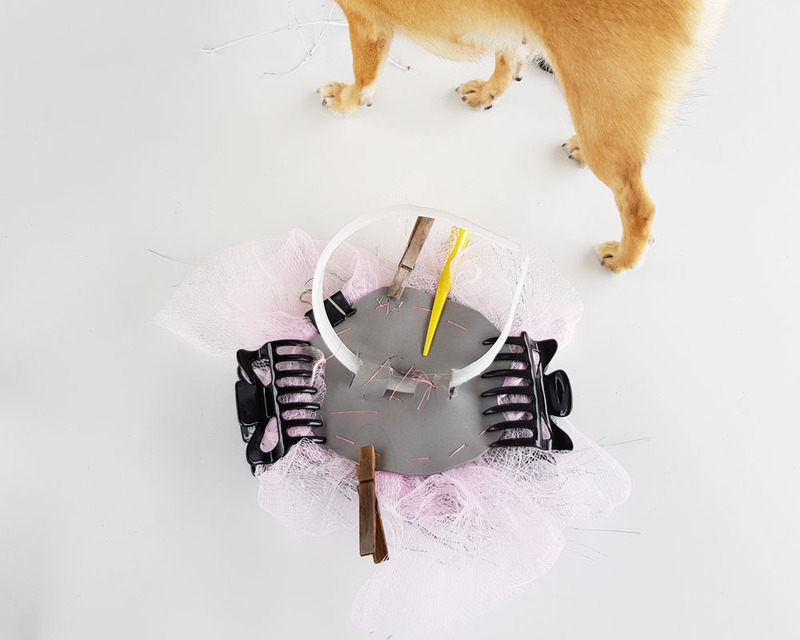 Once the basic circle is achieved in desired size, you can secure more with wire or needle and thread by wrapping around the edge. You can see in the last picture I have used green thread to wrap around the edge of the nest. 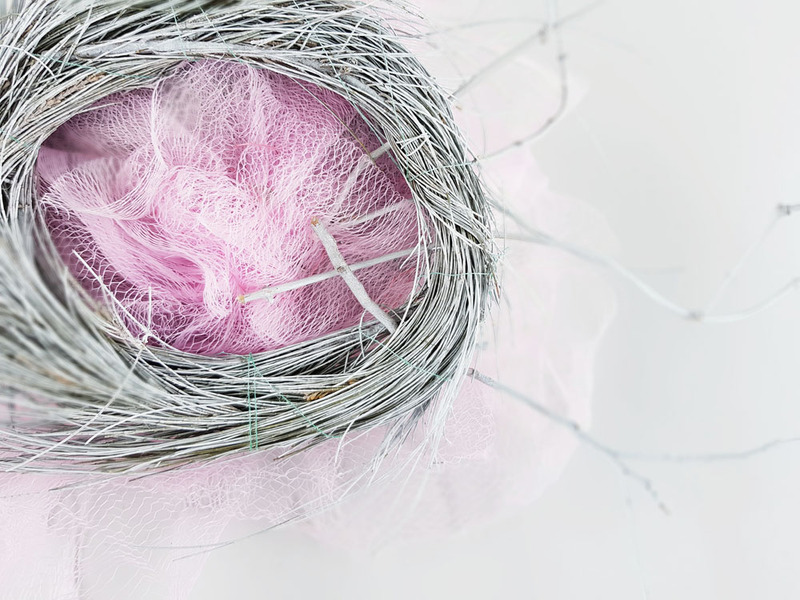 Spray the birds nest and loose branches. This will create a coating for the branches and make it hard and secure. Do this if you collected soft green branches like I did or you can skip this step if you want the branches natural looking. 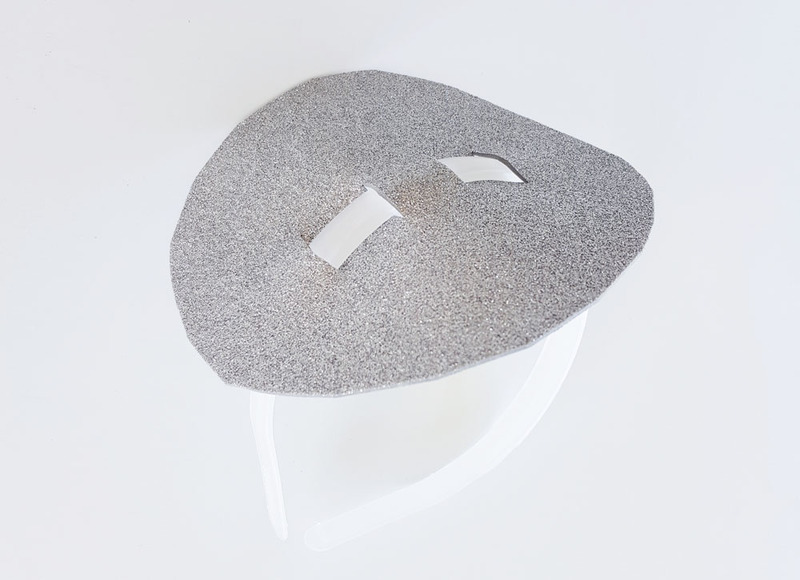 Cut your craft foam/felt into a circle the same size as base of your nest. Cut 4 slits the width of your headband and glue to the side so will sit on the side of head. 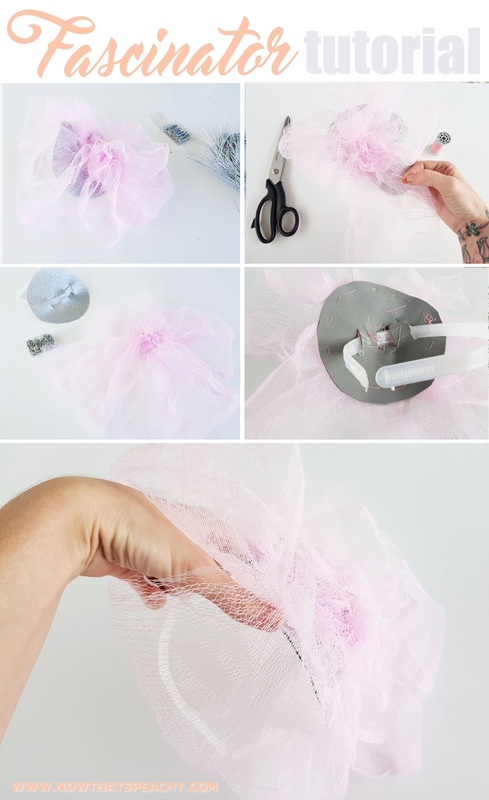 With your tulle net, cut into strips. Size depends on how much you would like over the face. once you decide how long you would like it, double the length and cut 3 to 4 pieces. 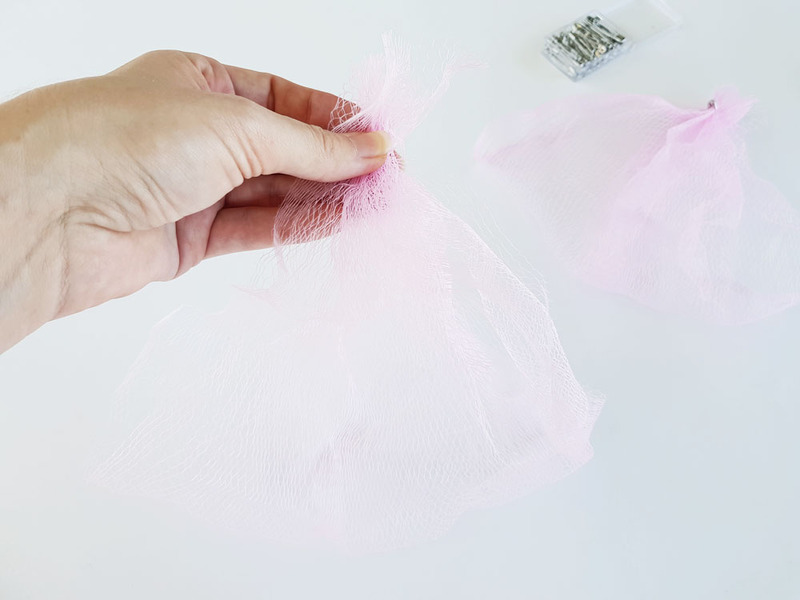 Fold in half and with a elastic band or safety pin, secure in bunch at the open end. 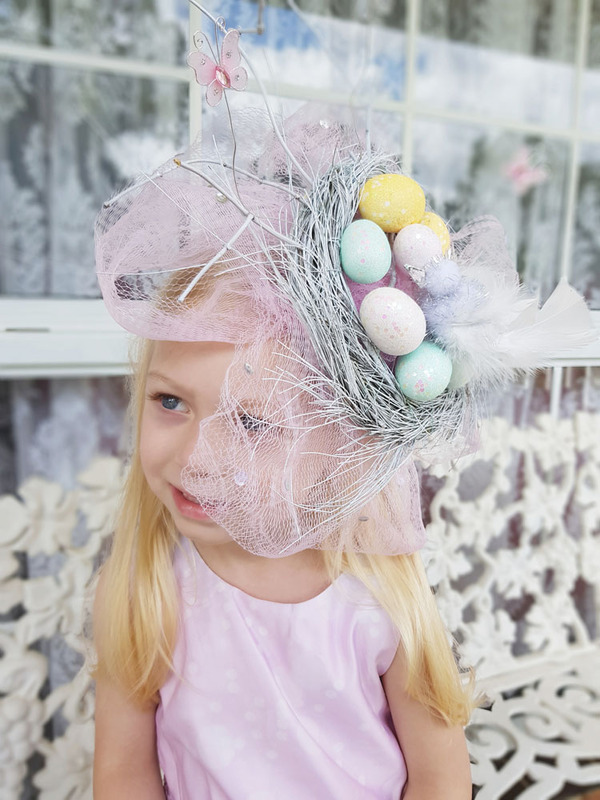 Pin or staple in the center and start repeating around the base to create your net to look like a fascinator, you can make it as full or simple here as you like. I wanted volume so pinned to be full and hand stitched afterwards, removing pins as I went. I would have stapled it as it's a LOT easier and faster but of course the kids pinched the stapler so I couldn't find it anywhere haha but trust me use a stapler for less work. 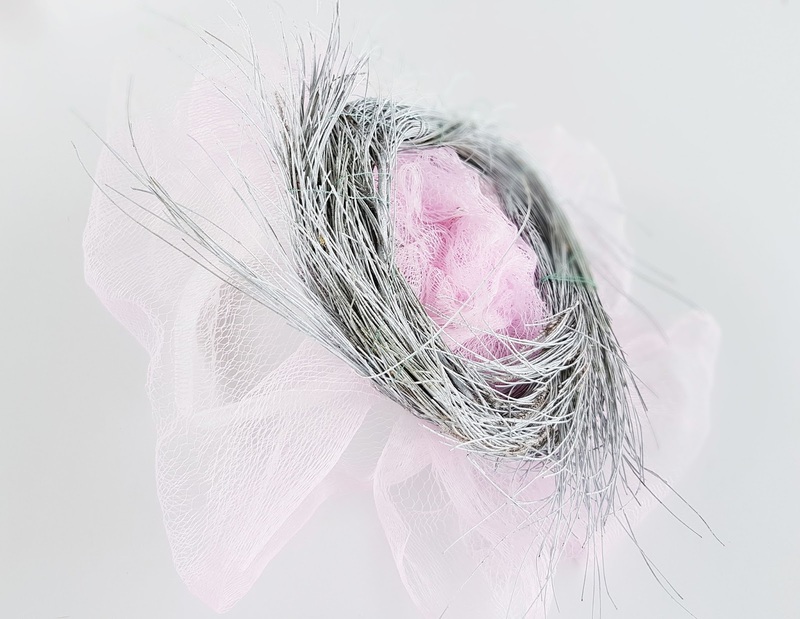 Glue the Birds Nest to the base. 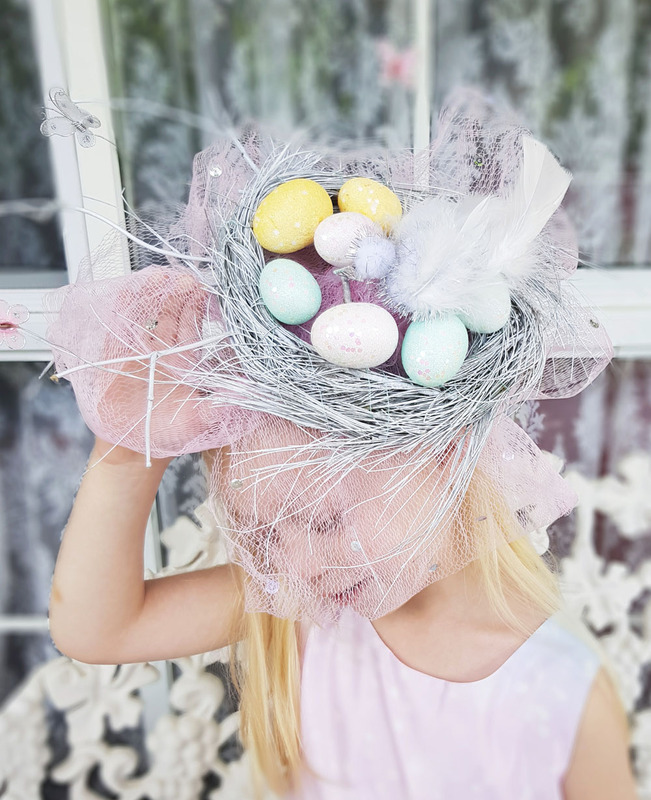 I found I couldn't work fast enough with the hot glue gun so I used the basic clear strong craft glue and put heaps of it on the bottom of nest and once in place, secured with hair clips and pegs to let dry. If you are finding your glue isn't strong enough, you can hand stitch on to the base but I did not have to do this. 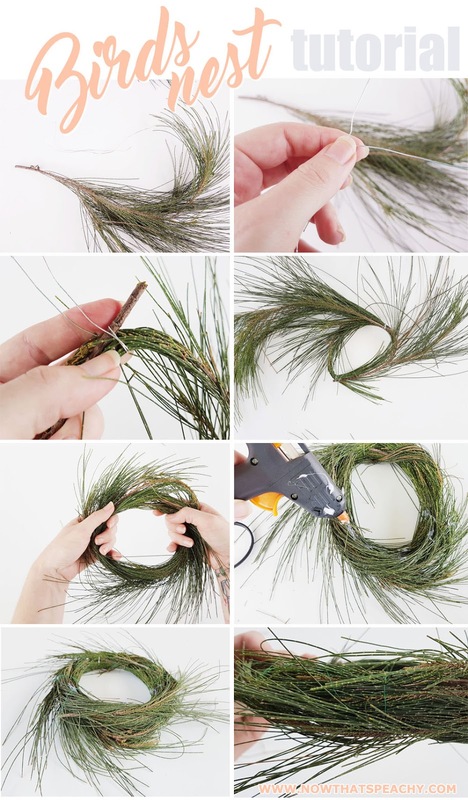 Once you are happy with loose branches placement, glue the branches in place. 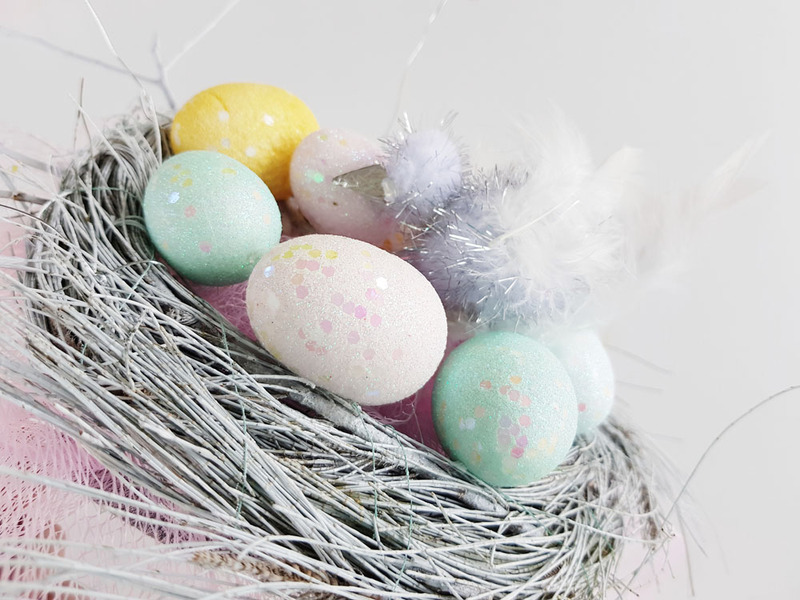 I tested the placement of the nest, branches, bird and eggs by checking the design in mirror while on my head. Or buy a premade bird and glue. 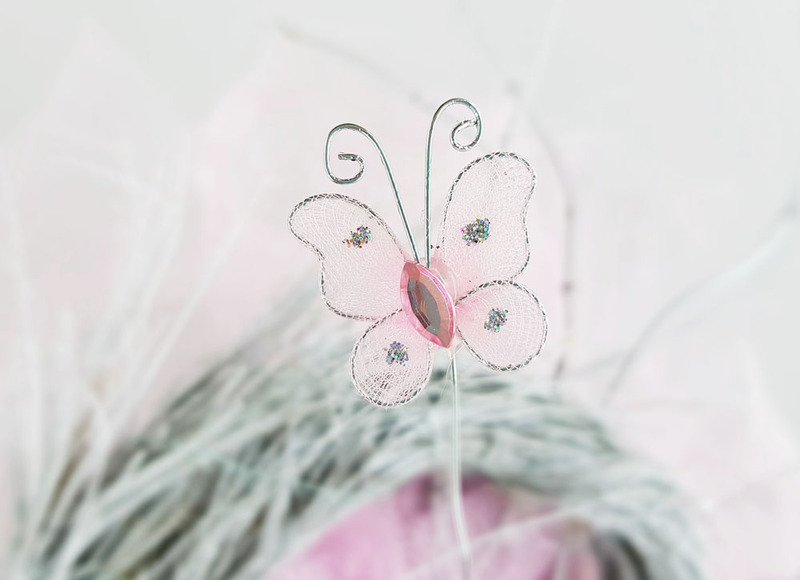 This is where you can add some bling and sparkle but not necessary to get the look. If there is an opportunity to go one step more and be extra, I will do it haha why not? Life's to short to not be extraordinary. 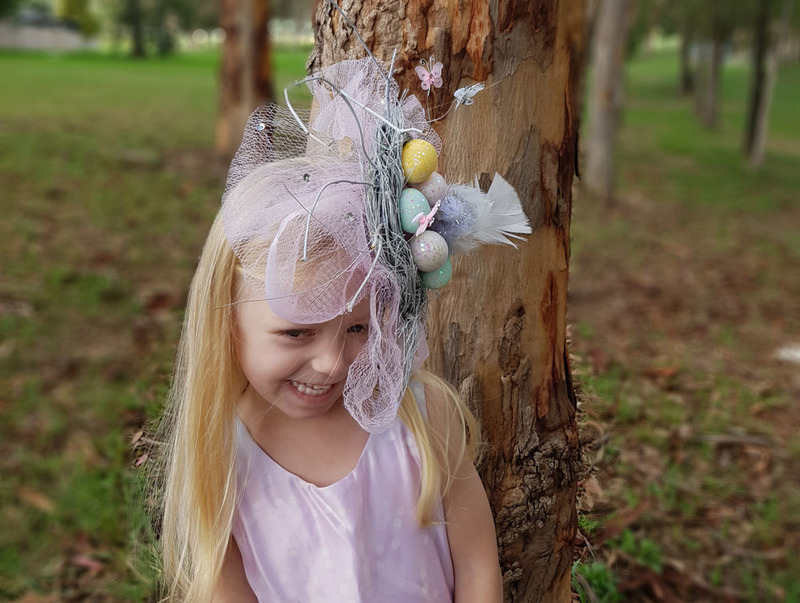 RESULTS are a very pretty and a cost effective Spring Easter Birds Nest Fascinator you are proud of, the kids don't ever want to take off and I am sure will win the hearts of everyone who sees the parade.